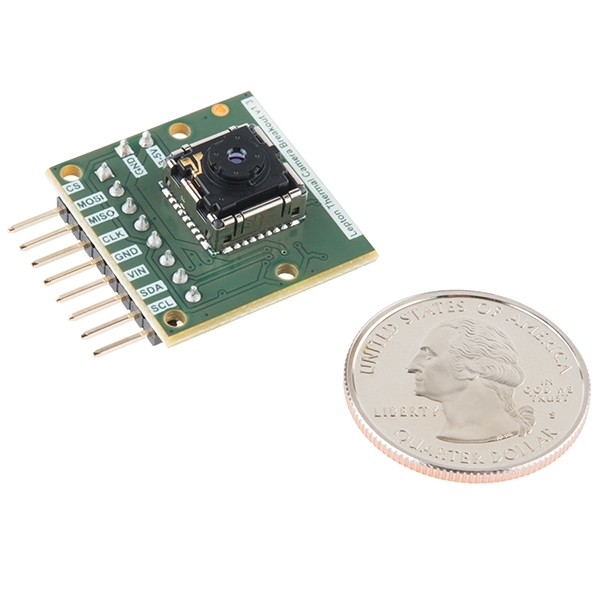 The FLiR Dev Kit includes a breakout as well as a Lepton® longwave infrared (LWIR) imager. 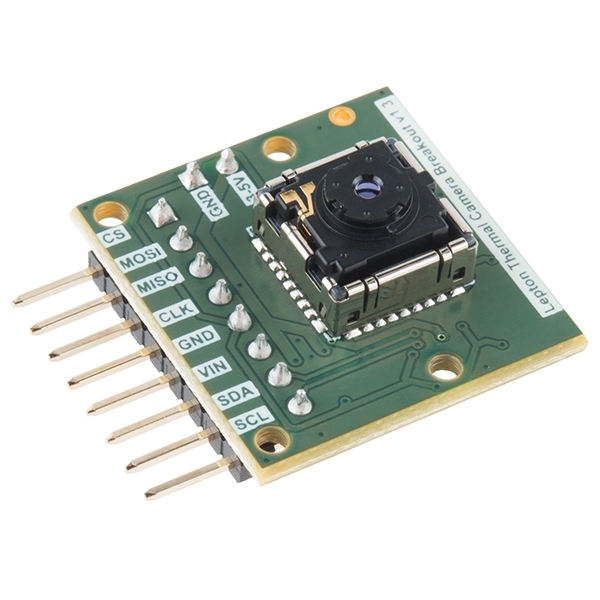 With this kit you will be able to bring FLiR’s thermal imaging reliability and power to your Arduino, Raspberry Pi, or any ARM based development tool all in an easy to access breadboard friendly package. 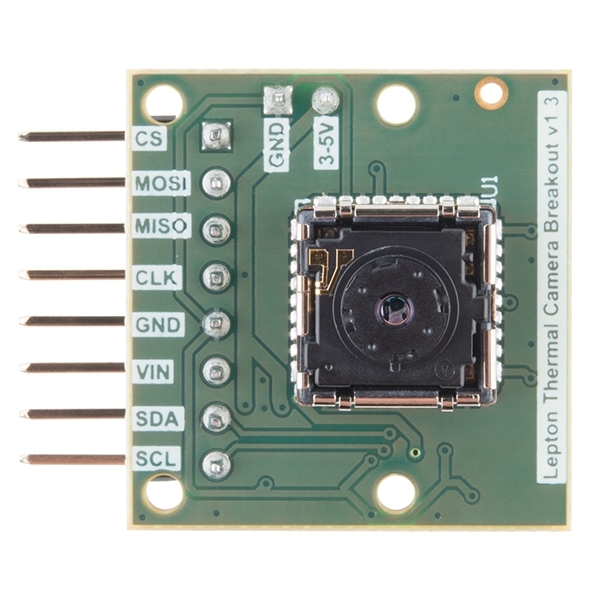 All you need to do to get this kit set up, simply attach the Lepton® imager module into the provided breakout, connect the headers, and you will be seeing in full darkness in no time! 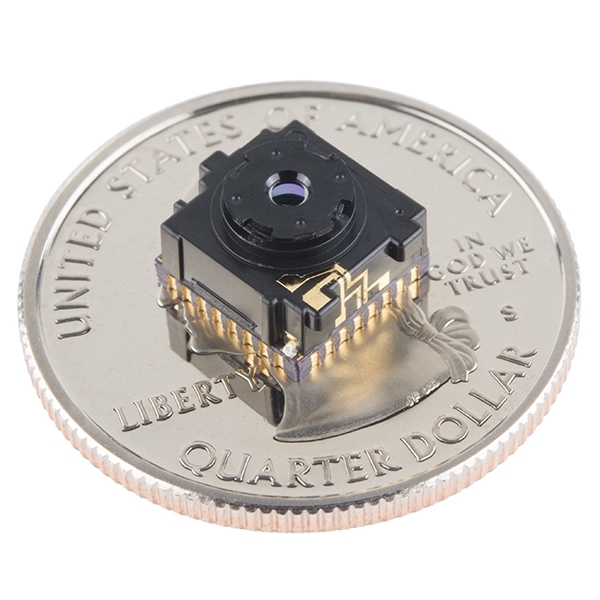 The Lepton® LWIR module included in each FLiR Dev Kit acts as a sort of camera and packs a resolution of 80 × 60 pixels into a camera body that is smaller than a dime and captures infrared radiation input in its nominal response wavelength band (from 8 to 14 microns) and outputs a uniform thermal image. Meanwhile, each breakout board in these kits provides the socket for the Lepton®, power supply’s, 25Mhz Crystal Oscillator, 100 mil header for use in a breadboard or wiring to any host system. 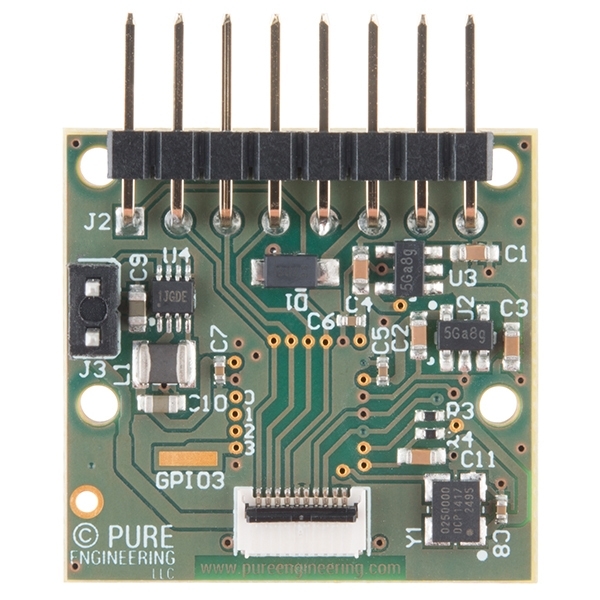 A few things to consider about this kit: the breakout board will accept a 3-5V input and regulate it to what the Lepton® wants, to read an image from the lepton module all you need is an SPI port, and to configure the camera settings you also need an I2C port, although this is not required. Note: This kit comes in two separate parts and will need to be assembled once received. The Lepton® module is extremely sensitive to electrostatic discharge (ESD). When inserting it into the breakout board be sure to use proper personal grounding, such as a grounding wrist strap, to prevent damage the module.